This article is by Rachael Hocking NITV NEWS 19 Mar 2019). 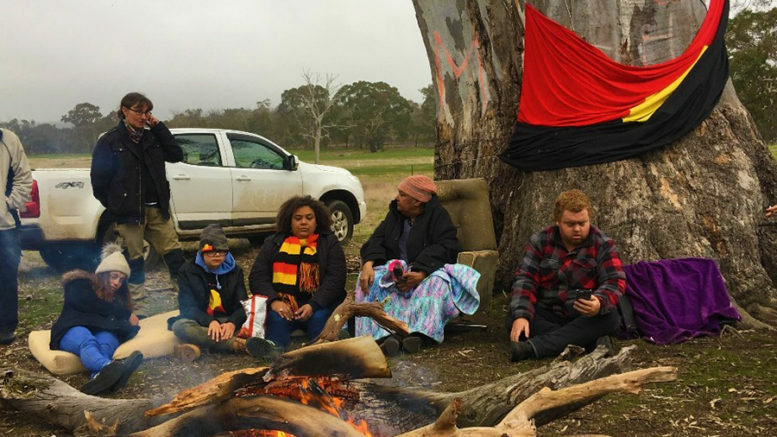 First Nations people fighting to protect culturally significant trees and to ensure proper consultation with elders deserve the support of all Australians. Go to Gofundme link to give a donation. Earlier today [19 March 2019], a heavy police presence blockaded roads accessing some of the trees, however NITV News now understands police have stood down for the remainder of the day and are unlikely to return until Wednesday. NITV News understands the “two trees” to be ‘culturally enhanced’ or ‘modified’ trees used for practices such as cooking and birthing. But NITV News has been told four other Scar trees have not been afforded the same protection. Both applications have been received by the Minister’s Department. 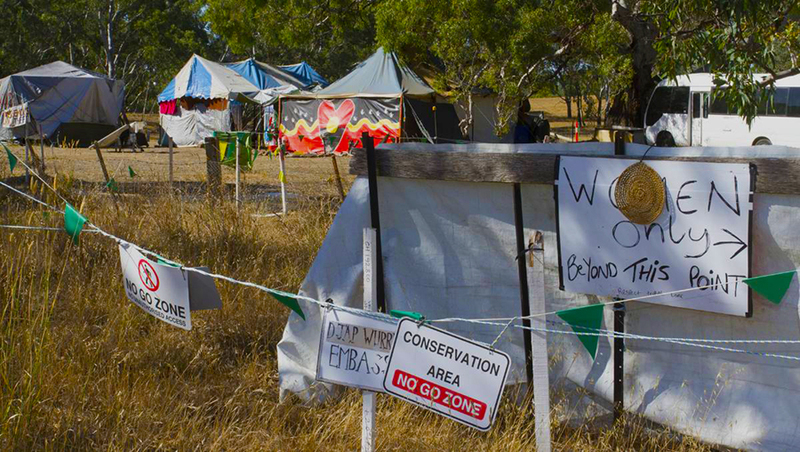 1 Comment on "Djab Wurrung protectors increase presence as police stand down"
Q. Why must progress be so harmful and destructive? A. It is avariciousness behind the veil of public purpose.